Writing for the web is not as different from writing to print. In both cases you have to get the reader’s attention and get through with your message. There are however specific rules you should consider if you wish to write successful texts for the web. Here are ten simple rules to follow which all help to sharpen up your texts. Take a moment to consider your own online reading habits. Several pages open at once, continuously dropping in and out of Facebook to get the newest updates from your feed and then add some noise from the real world around you, while you’re at it. Online readers are in a constant state of distraction and therefore their attention is somewhat passing. As a writer it’s your job to make the text easy to navigate so the reader easily gets to the information they were looking for in the first place, when they clicked on your article. So: Use short passages. This is also a benefit for all the Smartphone-readers. Huge amount of text seems overwhelming. Break the text into smaller sections. E.g. using bullet point and numbered lists, which provide a clear view of the content. Use your sub headers to clarify what the section is about. Doing so will make it easy for the reader to find exactly what they were searching for. As the reader only provides each text with a fractured attention, they tend to scan rather than read your content, as The Washington Post tells it. It only takes seconds for a reader to judge your text and they even lose their concentration as the text goes on. Therefore it is of the highest importance that you put your most important information at the top of your article, which allows the reader to slide out of your text without missing important information. Here one piece of advice is to use the way journalists write, by putting their information in a triangle shape; At the top you only give the most important facts about “who”, “what” and “where”. As you continue, you can spread your information out to explain the “why” of the story. This will allow the reader to stop reading without missing the important plot points of the story. As short sections of text will make it easier to read, so will short sentences. They too contribute to getting access to your most important information and make the reading easier. Therefore try to avoid parenthetical sentences and subordinate clauses. One way to clear up the text is to use active verbs instead of passive verbs. You should always write “You should write short sentences” instead of “Short sentences is preferable”. The latter seems stiff and will make the text seem more abstract and inaccessible. If you use active verbs you will strengthen your direct communication with the reader and thereby keep their attention. Use short and precise words. It won’t help you with your short and easy sentences if your words are unnecessarily long and difficult to understand. Make sure that your desired target audience will be familiar with any technical terms you wish to use, before you write them. Long and fancy words aren’t better than easy, short and simple ones. The best thing is actually to use the reader’s own words. And try not to use too many adjectives and also avoid verbal nouns, as they too create a distance to the reader and make the text more difficult. Once again it’s better to write: “Drink your soda cold” instead of “The soft drink should be enjoyed in a cooled down version”. SEO – or Search Engine Optimization – is to find and use the words that will make your article appear on the top of Google’s search results. If you’re a SEO novice we recommend that you read our comprehensive guide about what SEO is. 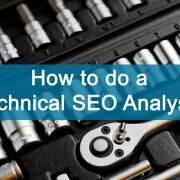 It’s a very good tactic to identify the SEO keywords that are most important for you and your topic. This can be done by conducting a thorough keyword research. 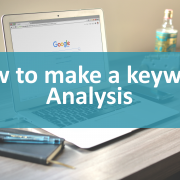 If you want to become a guru at doing this yourself we recommend taking a look at our guide on how to make a keyword analysis. The tool is very important but should also be used carefully since Google will see through a massive use of keywords and essentially judge your article and maybe even your company fake and untrustworthy as you can read on Ignite Visibility: ignitevisibility.com/the-big-list-of-google-penalties-for-seo/. Use the right keywords for precisely your company and text, and it will suit your article the best. Keep asking yourself: “What would I want from this text if I was a reader?”. Always consider your reader and their needs before anything else and use that as a guidance trough out your text. Remind yourself why they clicked in the first place. What piece of information is the most important, and how do you communicate that in the very best way. It’s so easy to link to the work of others and the articles you have used to write your text, and it’s not only a good move – it’s also an excellent service for the reader. They will learn how you found your information, but also how to dig deeper into the topic if they want to. So: Be very generous with your links and make sure to make them direct at the precise article you yourself are referring to. The introduction is always important in any text. But it has a certain importance online, where your article is in a constant battle with thousands of other articles fighting for the reader’s attention. Never just relax and expect that you just have your reader’s full attention once they’ve clicked. No, it’s very important to capture the reader’s interest from your very first sentence. You should make it a priority to work on your introduction and make it exciting and concrete, leading up to the content of the entire article and what the reader can expect from it. Maybe you should even write it at the very end once you’ve written your article. Then you’ll be sure it matches the content. It will seem quite unprofessional if you say one thing in your introduction and do something completely different in the article. And once you’ve written a splendid introduction, use the same effort on your article’s headline. That is after all what will guide your readers towards you and the article. This piece of advice may seem simple but if you want any recipient to take you seriously, you really can’t afford bad grammar. Even the smallest mistakes like a wrongly put comma or an accidentally misspelled word will make a lot of readers judge your article too unprofessional. Especially when you’re writing for a serious customer, who uses your article in a business manner. You should ideally have someone proofread your text, as they will most likely spot the mistakes you’ve made and can’t see because you have the correct version inside your head. If you can’t find a grammar specialist to check your text, make sure that you yourself read the article very thorough to spot any kind of mistake. Maybe even read it out loud to yourself, as it will force you to read every single word. Personality is very well functioning online. Just consider the amount of success that exists within the blogging community and how much marketing that actually relies on blogging. But as a writer you should remember not to be too silly or goofy as it most likely will make you appear unprofessional. Remember that your text should show whom you and your company are, and how you want to be considered. So: Of course you can be informal, but never be frivolous. Be funny, but not silly. This list should make it easier to get your text directly to the readers and hopefully make them read it all the way through. Do consider however that words can’t do it alone. The graphic installment is just as important if not even more important online. So consult your graphic designer and make them help you present your article in the very best way possible. This will ensure a better first-hand impression, which will secure your text a better performance online.